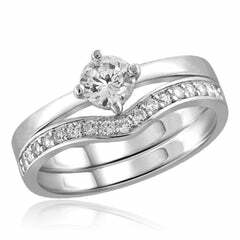 All of the love you've shared in the past comes down to this one special moment. 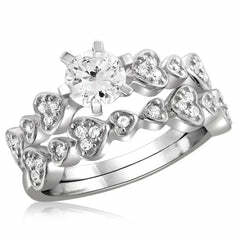 Ask for her hand, and offer your heart, with this stunning siler bridal ring. 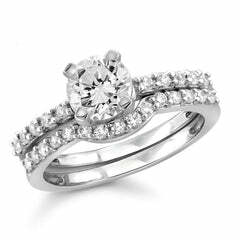 The engagement ring enchants with a round cubic zirconia shining brightly. 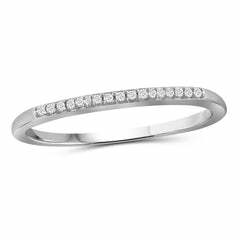 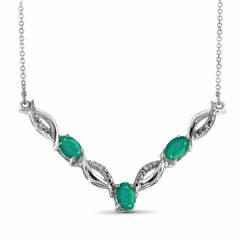 The stone is framed with a circle of smaller cubic zirconia, and additional gems also grace the shank. 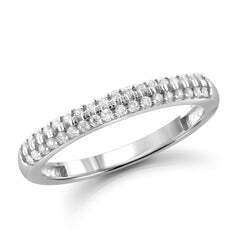 The coordinating wedding ring, also lined with shimmering cubic zirconia, fits snuggly beneath the engagement ring. 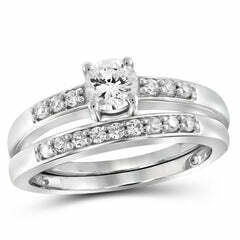 This bridal set is a brilliant beginning to a lifetime of love.